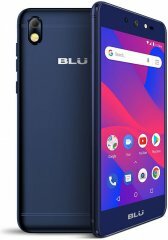 A revamped version of BLU's low-end Grand M2, which came out in 2017, the BLU Grand M2 2018 shares most of its ancestor's entry-level DNA, still settling for a 3G-only network reach , despite 4G-LTE connectivity being the golden standard among Android phones as of this technical Phonerated review -- explore the newest 4G-ready smartphones here. Just like the original Grand M2, this edition's cons include low-caliber hardware components, particularly, an old-fashioned 1.3GHz quad-core MediaTek 6580 processor coupled with a paltry 1GB-only RAM . 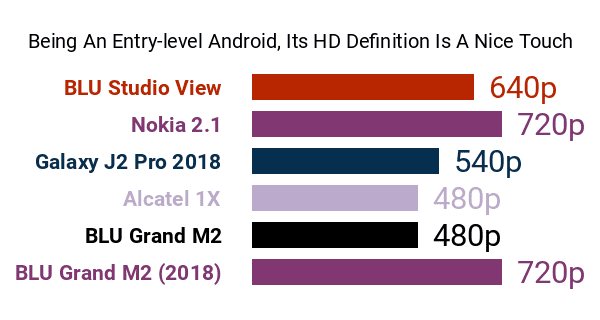 It also sticks to a mundane Mali-400 graphics engine , which was the go-to GPU for tons of other low-end smartphones available when it hit the market. One of this 2018 model's biggest pros over the older phone is that it ships with the Android 8.1 Oreo Go Edition operating system , which is a stripped-down version of Android 8.1 that's particularly designed for low-end phones with its kind of hardware composition -- get to know other Android Go models here. Its Go Edition ecosystem features watered-down versions of essential Google apps that are meant to eat up less data and phone storage, while conserving battery power. 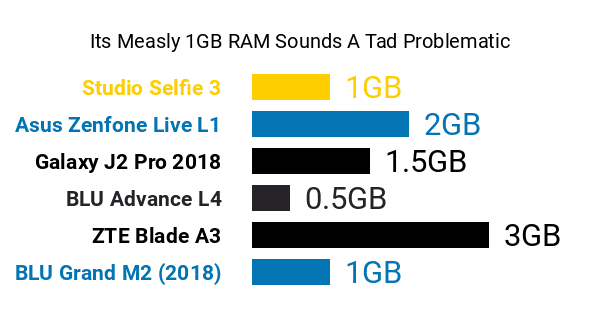 Speaking of power, its assortment of pros and cons feeds off a 2600mAh battery that's somewhat average, at least as far as low-budget Androids go. Another key difference between the Grand M2 2018 and its 2017 predecessor is that the former dons a 5.2-inch HD (1280 x 720) curved-glass display , whereas the latter is marred an FWVGA-only (854 x 480) interface. Its screen is met by a metal housing with an aluminum battery cover, with dual SIM card slots joining its specs as well. When it comes to imaging, this 2018 follow-up model upgrades its direct predecessor's 5-megapixel-only camera to an 8-megapixel one, which is accompanied by a standard LED flash and a Full HD (1080p) maximum video-recording resolution. 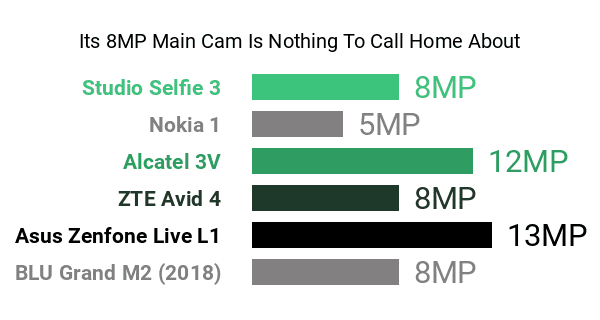 As for selfies, it comes with a basic 5-megapixel front-facing camera that's spruced up by a dedicated frontal LED flash -- some of its low-end rivals either do not come with front-firing flashes or settle for makeshift screen flash functions. So, with the kind of pros and cons that it offers, the Grand M2 2018 sounds like a viable choice for practically-minded shoppers eying a low-budget Android phone.